The 2016/17 season sees the Euroleague taking on a whole new look. This is because in 2015, FIBA launched a campaign to take control of the top tournament in European basketball. They aimed to welcome 8 of the top teams from the Top 11 in European basketball to come to their new tournament. This was rejected unanimously by the clubs of the Euroleague. Later in the same year, FIBA made another attempt to seize control of the Euroleague, proposing a 16 team league that is played out in a Round Robin format. 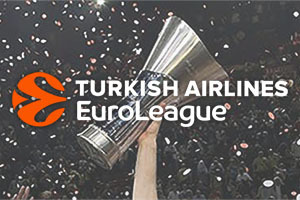 In November of 2015, Euroleague Basketball announced a new format from the 2016/17 season, which would feature 16 teams. The format of the new season will see each team play every other opponent twice and at the end of this campaign, which will see teams play 30 games; the top 8 teams will make it through to the Playoff Round. There will be four separate ties in the Playoff Round and the ties will be Best of 5 series. This means that the team who picks up 3 victories in the series will progress to the next round. The four winners in the Playoff Round will make their way through to the Final Four. 3 teams gain entry due to being domestic champions or being the highest ranked team in their domestic league who had not already qualified. The Eurocup winner was Galatasaray S.K. The wild card selection was Darüşşafaka S.K. The first round of matches will be played in the week of 12th of October.